Facebook users be warned: If you see a second search box at the top of your personal page, don’t use it. “We are not testing the placement of a separate Web search field and have no plans to do so,” a Facebook representative told the blog Search Engine Land. 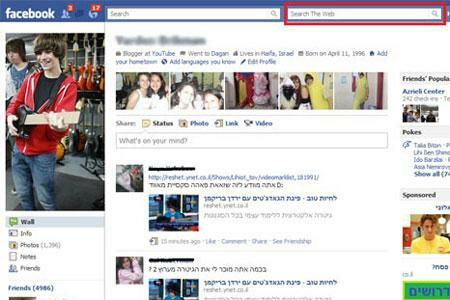 An image of a Facebook page with two search boxes has been making its way around the Internet for the past few days. Some tech news sites and blogs speculated that Facebook was testing out its own search engine, perhaps to challenge Google or to partner with a Google competitor such as Blekko or Microsoft’s Bing. The Facebook representative, however, said it’s likely a hack. “We believe the second search field or ‘Search the Web’ box appeared on people’s accounts as the result of unknown actions by a third party targeting the browser (potentially a browser plugin or malware) unrelated to Facebook,” he or she told Search Engine Land. Or, as the TechCrunch blog said, it could just as easily be a Photoshop hoax.